Now I want to show this beautiful page made by Denise :) Thank you!! Click on the preview to visit her blog. Thank you so much for this post. I want to let you know that I posted a link to your blog in CBH Digital Scrapbooking Freebies, under the Page 2 post on Jun. 23, 2010. Thanks again. Thank you for the alpha - the whole set is beautiful! Thank you. I love the QP. Thanks so much for this beautiful alpha! Hello sweetness! I wished to stop by to personally thank you for the lovely birthday wishes a few weeks ago. I've missed visiting you and am LOVING the colors in FRESH and REFRESH! Ahhhhh, I've been rejuvenated! Wishing you a FANTABULOUS summer and hoping to be back at designing sometime in August. I miss it SO much, as well as all of yours! Thank you for the alpha, I love it! Merci pour ce bel Alpha et cette couleur superbe ! Merci pour ce bel alpha ! Thank you so much. I love the Alpha! Thank you so much for this post. 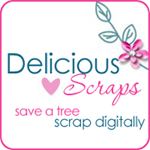 I want to let you know that I posted a link to your blog in CBH Digital Scrapbooking Freebies, under the Page 3 post on Jul. 10, 2010. Thanks again. Thank you for the great alpha and quick page!